The snapper instructions are on this page. Organize, manage and prepare for whatever life throws at you. IEP, Advocacy, Assessments, Health, Resources, Events in the hands of you and your support network. 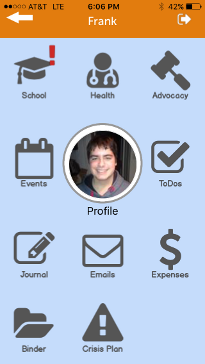 IEP, Crisis Plan, School Info, Insurance Card, Dr. Info, Communication Log. Easy! Share with your spouse, responsible siblings, family, friends and caretakers. 2 Years Free for our first 1000 active* supporters. Starting in June, $10 per year per child. Support the app that supports the community. Engage us with your ideas to make it better. 15 seconds. From thought to stored, indexed and searchable. 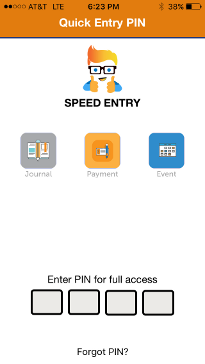 Enter journal, payment and calendar info on the fly. Too busy to find help? We're doing the legwork for you. Identify your challenges and we keep you informed of nearby events and resources looking to help you. Read curated feeds to inform and inspire. Join the conversation with comments or craft your own story to share with community. As a caregiver to a child with special needs you know just how unique and beautiful your youngster is. With LeLo Kids you can advocate for the proper services from now into adulthood to find resources, funding and opportunities. LeLo Kids is perfect for parents, guardians, advocates, therapists, counselors, teachers and health professionals to sync up with each other to understand the complete and specific needs of your youngster. 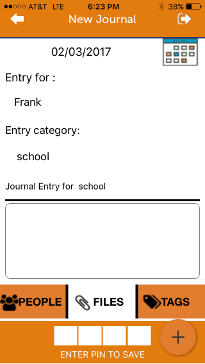 Keep track of meeting notes, work examples and conversations with school staff and professionals. With your whole team working in sync you can share data instantly with the professionals that can help make a difference. In the moment record keeping and categorizing allows you to document behavior like outbursts or successful interventions. Uploading photos and supportive evidence like injuries, therapy drawings, handwritten notes, etc. Point of sale accounting for medical co-pays, payments for one-on-one services, therapeutic supplies, and much more. Upload photos of receipts and forms and tag people to build a complete picture of your costs. Instantly make note of time that took off of work to care for your kids and regular weekly appointments while managing your busy schedule. Event entries sync with your online calendar tool to create strong evidence that shows patterns of behavior. Sync with iCal and Google Calendars to stay on schedule no matter how busy life gets. 2 years of free service for helping test it out and spread the word. © Copyright 2017. Depot Services, Inc.